Expectant Owner Valerie Creighton Weighs In. For more updates on current FPB projects you can watch this space, or visit http://www.setsail.com. 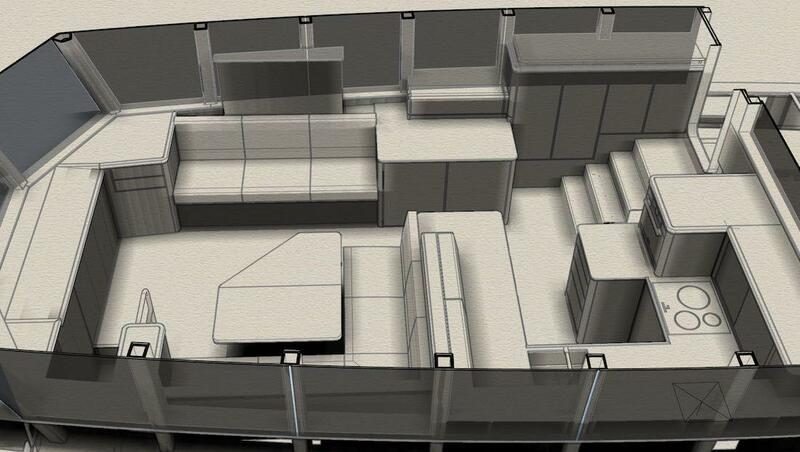 First, to the overall impression: the basic layout and flow remains the same, because it works so well: master cabin forward, where it enjoys good ventilation and natural light while at anchor. Great room in between, which is a concept that works surprisingly well. I say “surprisingly” because as former owners of a traditional pilothouse trawler, we were sceptical about the idea of eliminating that cosy, segregated wheelhouse. 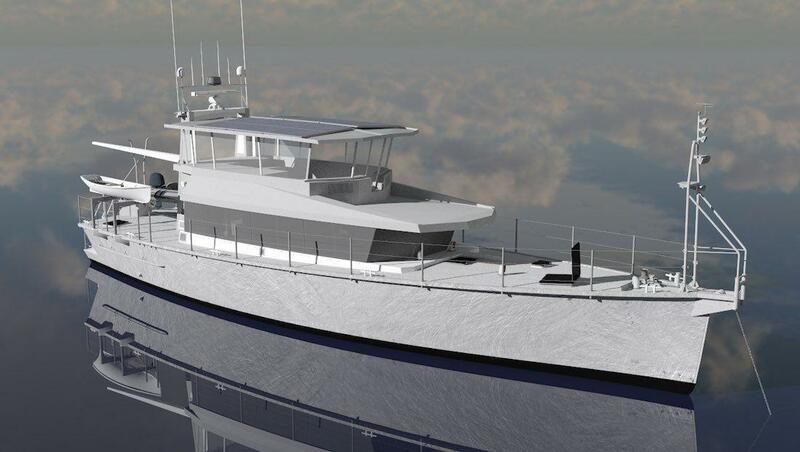 We are squarely among the converted now, and would never want to go back to a separate-pilothouse design. The great room is perfect for a cruising couple. 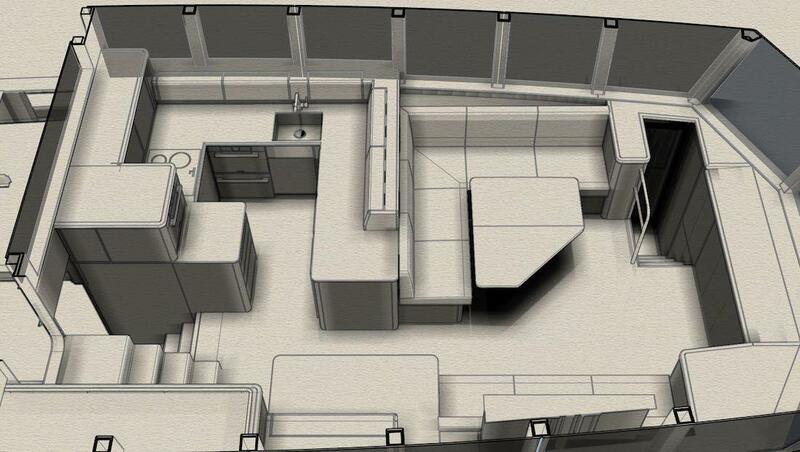 The big change to the aft interior is, of course, the replacement of the single crew berth/engine room foyer with a second 2-bunk guest stateroom and en-suite head. 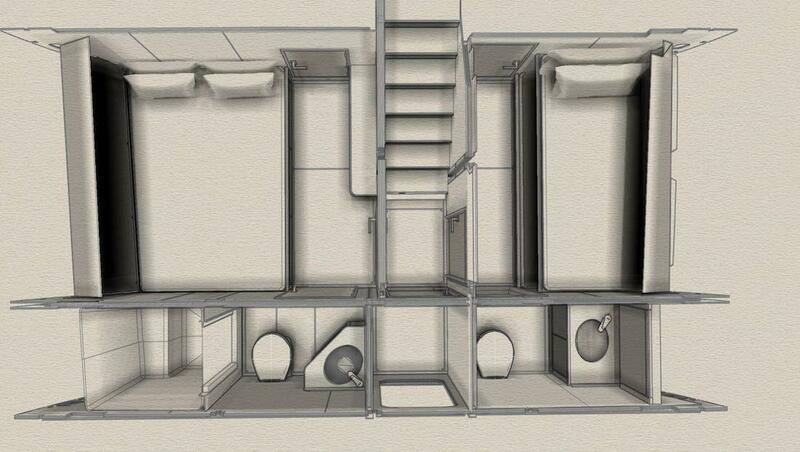 That head will be a “wet head” with a shower, but no separate shower compartment. 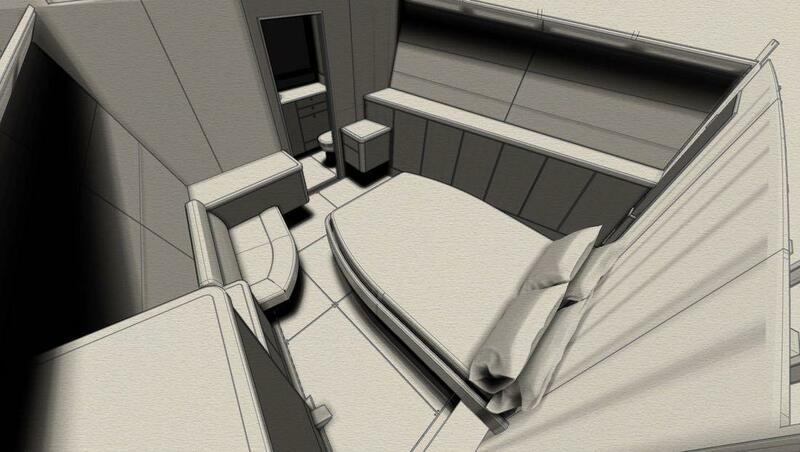 On the port side, we have a guest stateroom with double-bed and en-suite head similar to that on the 64.